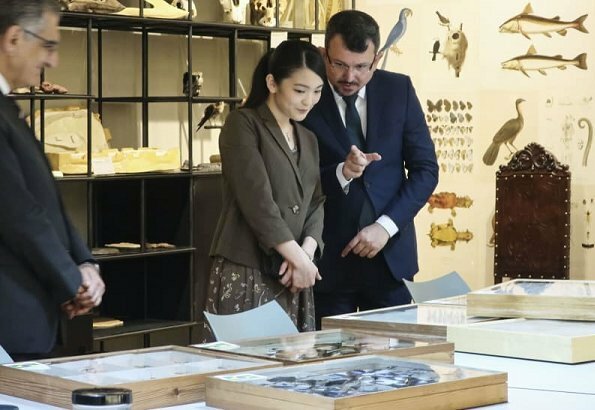 On July 24, 2018, Japan's Princess Mako visited the Museum of Zoology of the University of Sao Paulo in Ipiranga, Brazil. The USP Museum of Zoology (MZUSP) is an important research center. Princess Mako arrived in the country for the ceremonies to mark the 110th anniversary of the first waves of Japanese immigration to Brazil. Brazil is home to the largest Japanese community outside Japan. One of her loveliest outfits to date, in addition to the smashing lime green kimono. Love the style, fabric and design of this ensemble. Unusual for Japanese Royalty but wonderful to see. She is a lovely person as well. Agree! She is lovely and young. This is a flattering outfit and suitable for the weather in Brazil right now. This looks and fits much better than the shiny blue dress. Agree anonymous 3:37, she look lovely here. 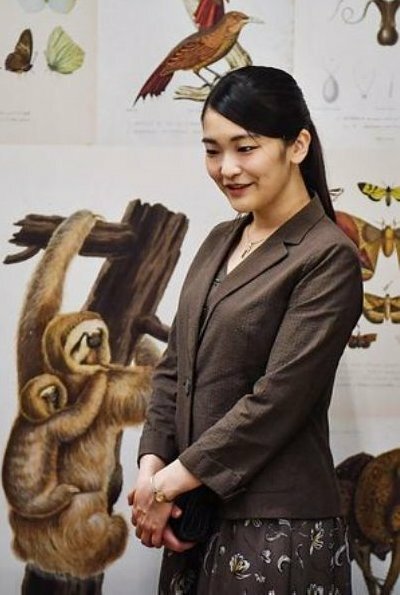 Princess Mako is modest, beautiful and intelligent. Please take a safe trip in Brazil. Pss Mako looks nice ,must say though brown is not her color. This outfit in a pastel print would look better to fit her hair color,she is a pretty young women why dress the way, what makes her look older.OMO. Maybe brown isn't an ideal colour for her but she must be so glad to get away from those eternal pastels. The skirt is lovely and overall she looks good. A nice change for her. It is winter in Brazil so this is a nice choice of color for that season. 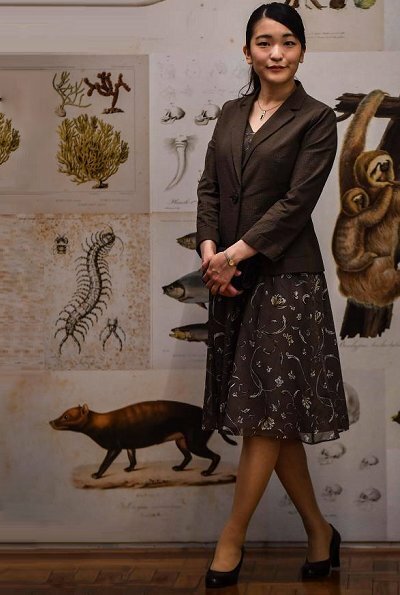 The details of this outfit are bit unusual for a woman of the Japanese court--there is a change of pattern and fabric from the jacket to the skirt. She seems a lovely young woman, hopefully this trip will alleviate her sadness.